Includes 2 internal plastic sharps containers. Bio-hazard symbols are warnings. Easily seen yet discrete. Australian standards “yellow” – durable powder coated finish. Secure wall mountable (4 points). 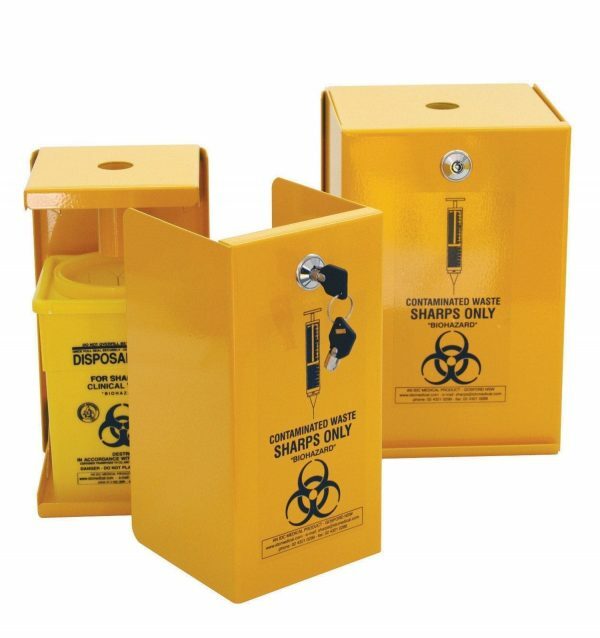 Very safe to empty with easy refill / maintenance.